There’s an abundance of pest companies out there, which can make choosing quality pest control in the Blue Mountains (or anywhere else in Sydney for that matter) harder than you might think. The best pest control involves a lot more than just a quick chemical spray – here are a few factors to consider when making your choice. One of the most interesting developments in pest control over the years has been in the products used. Harsh chemicals were once commonplace, but thankfully developments have seen the introduction of new products that are not merely effective, but safe for people and pets, and gentle on the environment. In choosing any pest control service, always check what products the company uses to ensure your family are protected, and that the business has significant eco-credentials. Pest control companies offer different services, including termite inspections, standard pest treatments and emergency assistance. For best pest control in the Blue Mountains, look for a company that offers the full range of services. At Pioneer, we can help with everything from standard, pre-purchase property pest checks to regular termite assessments and emergency treatment for major infestations. We’re contactable 24/7 should you need help urgently. 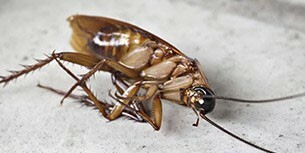 It goes without saying that quality of service is imperative when you’re dealing with pests around the home. Blue Mountains residents are no strangers to spiders, cockroaches, mice, rats, slugs (recent heavy rains have seen an influx) and of course, termites. If you’re paying for a pest service, you should expect no less than the effective detection and eradication of any unwanted pests. 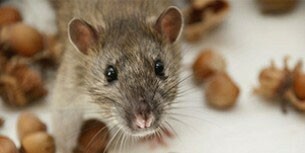 Experience and expertise are central to quality pest control. 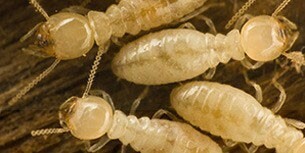 There is another aspect that elevates pest control companies – their termite treatments. Termites, as you probably know, have the potential to cause thousands or even tens of thousands worth of property damage. Many companies still use only visual checks when looking for termites, which isn’t always as thorough as it could be. Look for a company that uses the cutting-edge technology called Termatrac, which can detect termite infestation even in impossible-to-reach areas such as wall, ceiling and floor cavities. Termatrac employs radar thermal imaging to find termites before any damage is done. A healthy and safe home or business should be pest-free, and early intervention may often be the best way to prevent infestations. If you have any signs of pests, are concerned about potential termite damage, or simply want to deter creepy-crawlies, then our team can help. We service the Blue Mountains area and pride ourselves on our premium products and services, including the use of Termatrac, and our decades of experience and industry expertise.